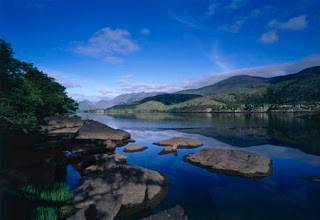 Lakes of Killarney, One of the top tourist attraction in Ireland you must visit. 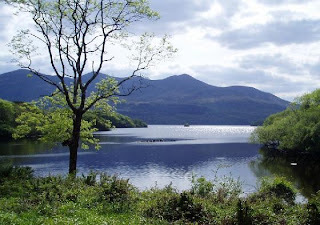 Located located near Killarney, County Kerry, Ireland consist of three lakes - Lough Leane, Muckross Lake (also called Middle Lake) and Upper Lake. 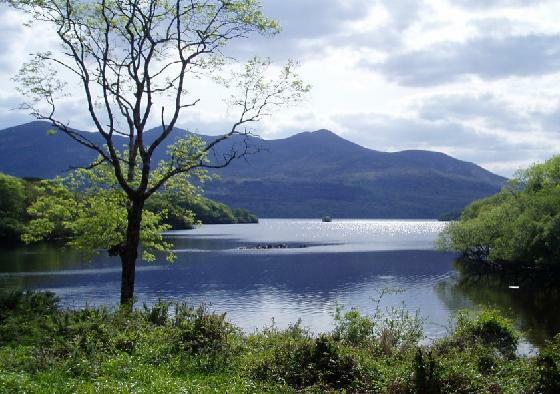 The three lakes are known as the Upper Lake, Muckross Lake (Middle Lake) and Lough Leane (Lower Lake), and are joined at the 'meeting of the waters', a popular area for visitors to the Park. It is here that the Old Weir Bridge (thought to be over 400 years old) can also be seen. From the meeting of the waters a narrow channel known as the Long Range leads to the Upper Lake, which is the smallest of the lakes but set in the most spectacular location, in the heart of the rugged mountain scenery of the upper Killarney Valley/Black Valley area. There are many Brown Trout in the Killarney lakes, in addition to an annual run of Salmon. Unusual fish species include the Arctic Char (usually found much further north, and thought to be a relict species left behind in Killarney after the last ice age). Cycle the Gap of Dunloe and Boat 13 miles on three Lakes back to Killarney. Play Golf at Killarney, Ballybunnion, Ring of Kerry or Waterville. Drive the Ring of Kerry and Visit Valentia Island. Beach Gallop on Rosbeigh Strand. Take a Jaunting Car ride in the National Park. Climb Ireland's Highest Mountain : Carrauntuohil 3,414 feet. Visit Muckross House and the National Park, Cycle or Walk.